Dichanthelium villosissimum var villosissimum. 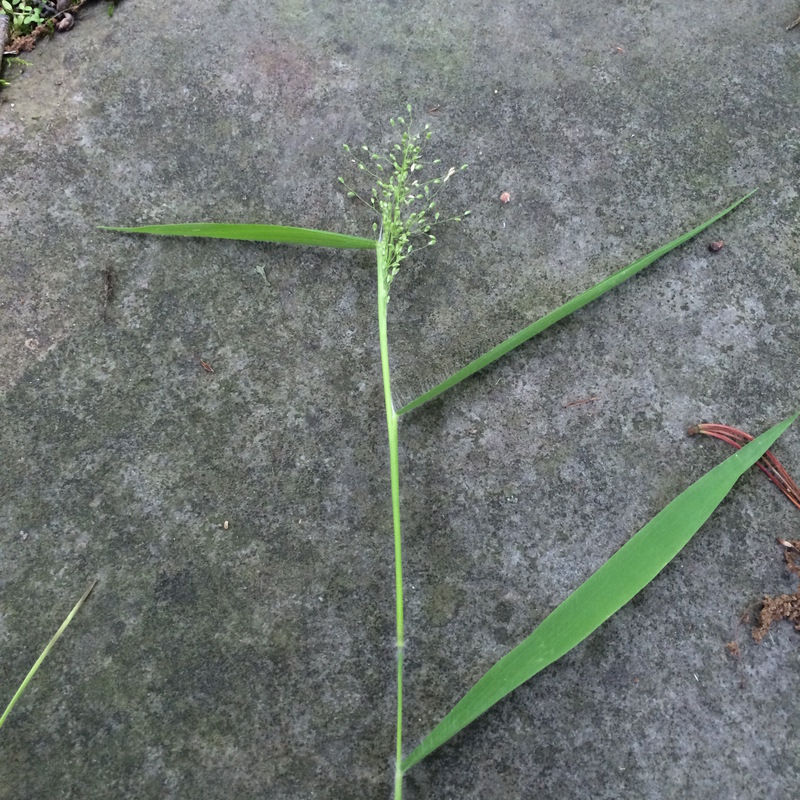 primary panicle.6.2015.M.B. Gargiullo. Dichanthelium villosissimum var. villosissimum. Plants of Alabama. 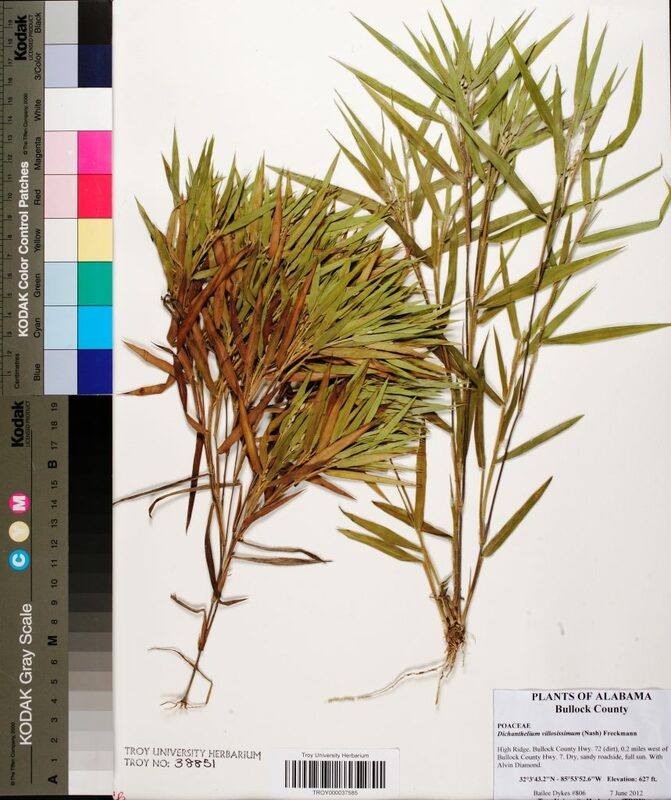 floraofalabama.org (Accessed 3/2018). Leaves 3-10 cm long, 0.3-1.3 cm wide, hairy on both sides, sheaths shorter than internodes, ligule of long hairs 0.2-0.5 cm, extending beyond top of sheath. Flower spikelets finely hairy, 1.5-2.5 mm; primary panicle 2-6 cm, oval; blooms May-July; autumnal phase panicles often hidden, July-Oct. Seeds of Panicum sp. eaten by many birds, foliage eaten by Muskrats and rabbits. Habitat: Dry woods, along trails. Appears somewhat shade tolerant (personal observation).